Passakorn Suwannawat of Thailand has entered in the semi-finals of World Men 6Reds Championship defeating Indian player Varun Madan in straight set of frames 5-0. Though Passakorn wasn’t playing that great initially but many unforced errors by Varun allowed him to secure all five frames. In fact, in first three frames, Varun was leading but he failed to complete the task and Passakorn came from behind to secure them by close victory margin. Even in last frame also Varun had chance to recover but lost that frame too on black ball game. Passakorn will now take on Indian player Alok Kumar who knocked out his compatriot Anuj Uppal 5-2 to confirm his berth for semis. Alok was enjoying 3-0 lead when he played few loose shots, which resulted in two frames win for Anuj. Though Anuj failed to build any pressure of having advantage of these two frames, Alok once again curtailed him in next two frames and secured medal. 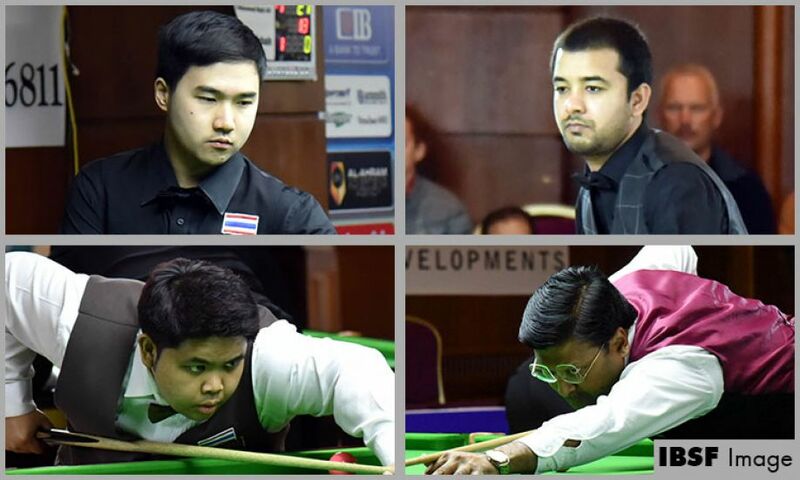 The other semi-final will be played between Thai player Thanawat Thirapongpaeboon and Muhammad Majid Ali of Pakistan. Thanawat defeated Hong Kong player Cheung Ka Wai 5-2 and Majid ousted Habib Subah 5-1. By reaching in the semi-final round, these four players are now eligible to play 1st Qatar 6Reds World Cup 2019 schedule next month from 12-15 January 2018 at Doha, Qatar.